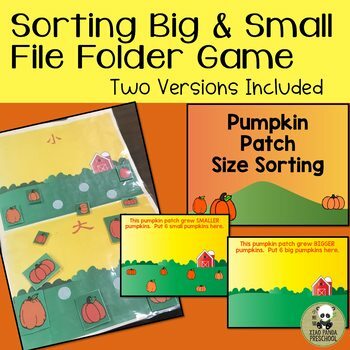 Practice big and small with preschool or ESL students with this simple file folder game. 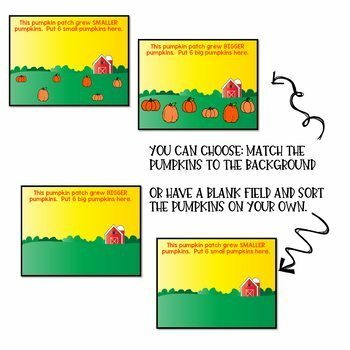 Sort and discuss bigger and smaller sized pumpkins in the pumpkin patch. It's also a great morning or independent work option for the preschool and kindergarten class. This file folder game is English. I also have a Chinese version available in my store. 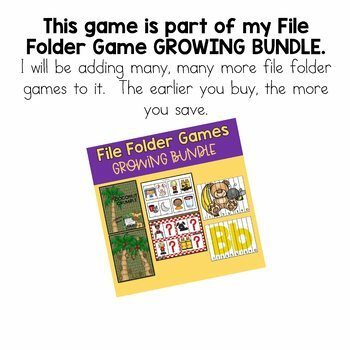 This file folder game is part of my File Folder Games Growing Bundle. Purchase early for huge savings on tons of file folder games.